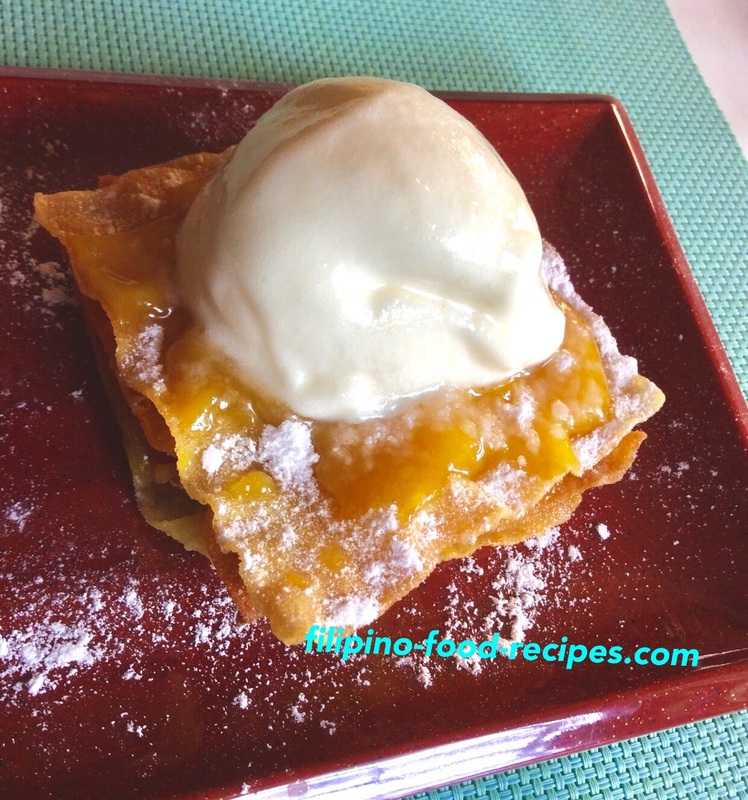 Peach Mango Dessert is a very simple sweet indulgence, my take on the famous peach mango pie of Jollibee. I got this idea when we were having lunch at the mall, we had a very good lunch and my son decided to buy Jollibee peach mango pie. Wow!! Sarap, but very small and gone after just 2-3 bites. So, my son suggested making some. I opted for the simplest and easiest way to do it -- cook something crunchy to mimic the crust and cook the filling separately, then assemble together and fancy it up by putting ice cream on top. We decided to use the wonton wrapper, then bought fresh mango and preserved peach from the grocery store, blended in chunks, added some sugar and honey plus flour to thicken. That’s it, we already have a filling. We fried the wonton wrapper individually and spread the filling on top, arrange it alternately up to four layers. Lastly, we topped it with vanilla ice cream. We ate them all to our heart's desire! 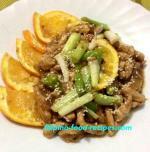 Come, try this very simple recipe and surely it’s a winner. 1 Lightly blend the mango and the peach leaving some chunks. 2 In a pan, cook together the peach, mango, sugar, honey and flour. Stir continuously until thick. 3 Fry the wonton or molo wrappers individually until golden brown. 4 To assemble, lay one wrapper, top with the fruit filling, and repeat alternately until it's 4-piece wrappers high. 5 Add a scoop of vanilla ice cream on top and sprinkle powdered sugar on top. 6 Serve the dessert while hot or warm to melt the ice cream on top. Enjoy!